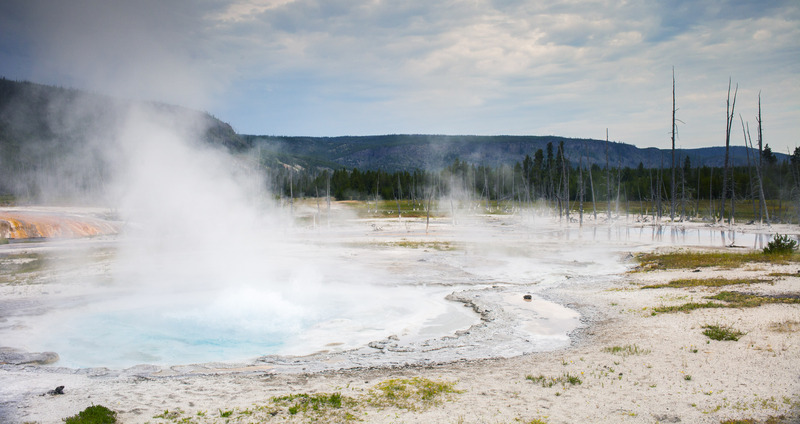 A significant portion of Yellowstone National Park sits on top of a supervolcano. Although it’s not likely to erupt any time soon, the park is constantly monitored for geological events like earthquakes. This week I want to take a look at how you can import this earthquake data, encoded in GeoJSON format, into SQL Server in order to be able to analyze it using SQL Server’s spatial functions. Watch this week’s post on YouTube! I really enjoyed making all of the overlays for this episode. The key thing we’ll be examining in this data is the “features” array: it contains one feature object for each earthquake that’s been recorded in the past 30 days. You can see the “geometry” child object contains lat/long coordinates that we’ll be importing into SQL Server. If you want the same 30-day GeoJSON extract we’ll be using in all of the following demo code, you can download it here. There’s no out of the box way to import GeoJSON data into SQL Server. However, using SQL Server’s JSON functions we can build our own solution pretty easily. The above data includes earthquakes from around world. Since we only want to examine earthquakes in Yellowstone, we’ll need to filter the data out. There’s a handy Place column in the data that we could probably add a LIKE ‘%yellowstone%’ filter to – but this is a post about spatial data in SQL, we can do better! You can download the full park boundary GeoJSON file here. Just like before, we’ll use SQL Server’s OPENJSON() function to parse our GeoJSON data into a well-known text POLYGON. Now we have two tables: dbo.EarthquakeData and dbo.ParkBoundaries. What we want to do is select only the Earthquake data points that fall within the boundaries of Yellowstone National Park. So all it takes to import GeoJSON data into SQL Server is knowing how to use SQL Server’s JSON functions. Once geographical data is imported into geography data types, SQL Server’s spatial functions offer lots of flexibility for how to efficiently slice and dice the data.